If you’re thinking of selling your Ford car, then you should definitely prepare yourself for a long, and tiring process. Even though you might think it’s simple and straightforward, the reality is much different when you get down to it. From looking for potential buyers to actually making the sale – it can be a very long road. You might even get so frustrated with it all that you give up halfway. 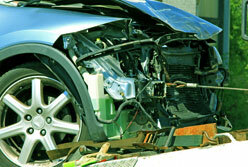 If you don’t want to waste time and effort on something that might not give you your desired result, then you should look into the option of a car wrecking service such as Cash My Car. Considered to be one of the easiest ways to sell your vehicle and get quick cash, life really doesn’t get any easier than this. Continue reading below to find out more about the benefits. When you are thinking about selling your car, you might be under the impression that the perfect seller is just standing right outside your doorstep. All you have to do is reach out and the deal will be completed within minutes. However, the sad truth is that in the real world it just doesn’t work like that. This is why you should consider selling your Ford parts to a cash for cars company like Cash My Car. This is because no matter how hard you look for the perfect buyer, there is no other option out there that is as quick, pain-free and provides a top cash price for your car like our Ford wreckers Auckland can. Compared to the usual selling process, you will find us a walk in the park. The entire process is fast and simple and can all be done online. All you have to do is submit an enquiry via our form and set a time that is convenient for you. 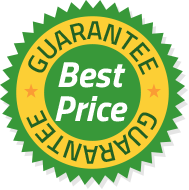 After that, we send an expert to your house to conduct a proper inspection of your vehicle who can then offer you a cash price on the spot for your car. Other wrecking companies often charge you extra for taking away your car. If that is the case beware as you might be walking into a trap. We provide pickups and removal of your car for free. This means you don’t incur any additional costs or time having to organise removal as we take care of it for you. Get cash for your Ford now! Cash My Car is the largest Ford dealer in Auckland. As we are the wrecking company and do all the dismantling ourselves so don’t resell your vehicle or scrap car onto other wreckers. This means we can guarantee you get a premium cash price for your car. You get more cash and a better service, guaranteed! 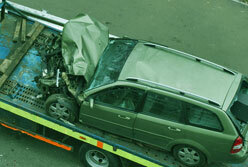 We have multiple tow trucks running in the Auckland region and provide a free Ford collection service. We can pick up your car on the same day you get in touch. We don’t just buy certain models of unwanted Ford vehicles. Because of our large retail buyer network, we pay top cash for cars prices all models. Car damaged and not insured, or would repairs cost more than the car is worth? 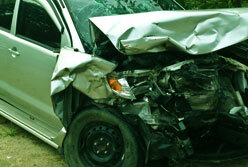 We will pay the best cash for cars price for your wrecked Ford, it couldn’t be easier! If your Ford vehicle has been written off or doesn’t run anymore or is in pieces don’t throw it away. You might be surprised at how much it’s actually worth!